Flu season is in full swing in the state of Texas, and RSV is making its rounds. RSV can have similar symptoms to the flu, but it is actually a very common respiratory virus that infects the airways of the lungs. This virus is most severe in the elderly and in infants. This week we caught up with Dr. Adolfo Flores, the North Texas Medical Director for Urgent Care for Kids. He shared all of the things you need to know about the illness and more. Read on to learn more about RSV. RSV stands for Respiratory Syncytial Virus and is a very common virus present during the fall and winter months. RSV typically causes cough, congestion, runny nose and sometimes may even cause a fever. Most of the time, RSV causes a cold, but in some children, it can lead to bronchiolitis – swelling, inflammation and mucus plugging of the small breathing tubes of the lungs. Bronchiolitis occurs most often in infants than older children because the airway is smaller and more easily blocked in younger children. How is RSV contracted and how can it be prevented? 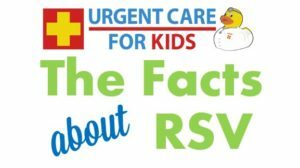 RSV can be contracted like any other cold – by direct contact with another person who has contracted the virus, not covering a cough or sneeze, unclean hands, or unclean surfaces that have contracted the virus. This is why it is very important to maintain good hand hygiene by washing your hands with soap and water or using hand sanitizer frequently. It is also very important to cover your cough/sneeze into the sleeve of your elbow or a tissue, rather than covering your cough with your hands. If someone at home shows any symptoms of a cold, it’s best to sanitize surfaces that family members touch frequently – phones, tablets, door knobs, remote controls for TV or gaming systems. What are the symptoms in infants and children? Symptoms of RSV include those seen with a common cold – cough, congestion, runny nose and at times even a fever. In infants or young children who develop bronchiolitis as a result of RSV, symptoms may also include a “wet cough” or audible wheezing. Depending on the severity the chest congestion (bronchiolitis), a very small percentage (only 3% of infants and young children) may develop difficulty breathing that requires a hospital stay. What are the risk factors for RSV? Children at greater risk of acquiring RSV are those who are younger than 12 weeks old, infants/young children who were born prematurely (especially those born less than 29 weeks gestation), or infants who had low birth weight. Other children who are also at risk of acquiring RSV include those who have chronic lung disease or who have a compromised immune system. RSV is treated like any other cold virus – by pushing lots of fluids at home, alternating tylenol and motrin for any fever that may be present, but most importantly, by suctioning nasal congestion using a bulb syringe or Nose Freida along with saline. Many studies have been conducted on infants and young children who develop bronchiolitis from RSV, and no treatment has been found to be effective. There are some infants and children with bronchiolitis who have wheezing and may show some improvement with nebulized breathing treatments such as albuterol, although studies have shown this improvement to be short lived. At what point should I seek care for RSV? You should seek out in person care if your child is having fever that persists longer than 48-72 hrs or if your child shows symptoms of difficulty breathing which may include fast/heavy breathing, retractions (belly muscles sinking under the rib cage or neck muscles sinking under the clavicles), wheezing, grunting, nasal flaring or head bobbing. 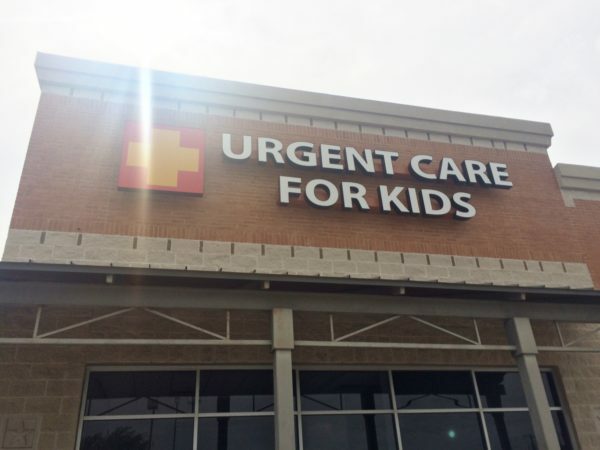 Urgent Care for Kids also houses a pediatric telemedicine service called VirtualPediatrics. This service will allow you to see a pediatric provider from the comfort of your home. Visit: www.virtualpediatrics.com to see a provider today.